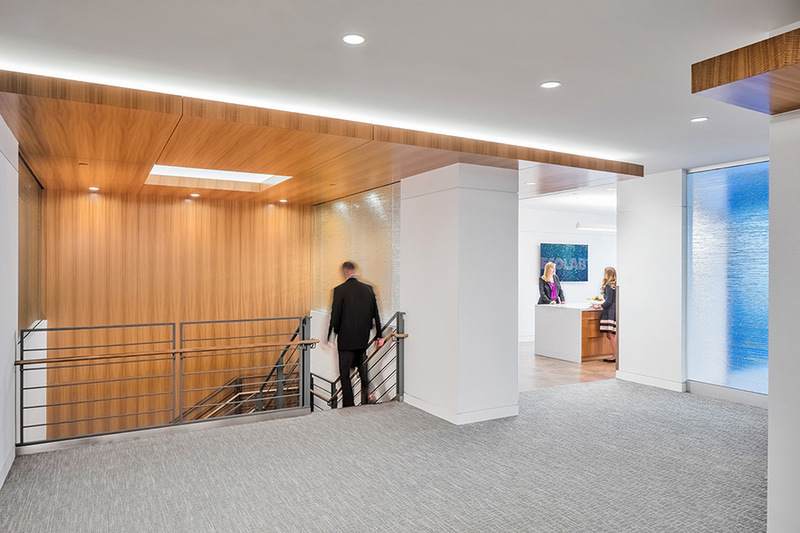 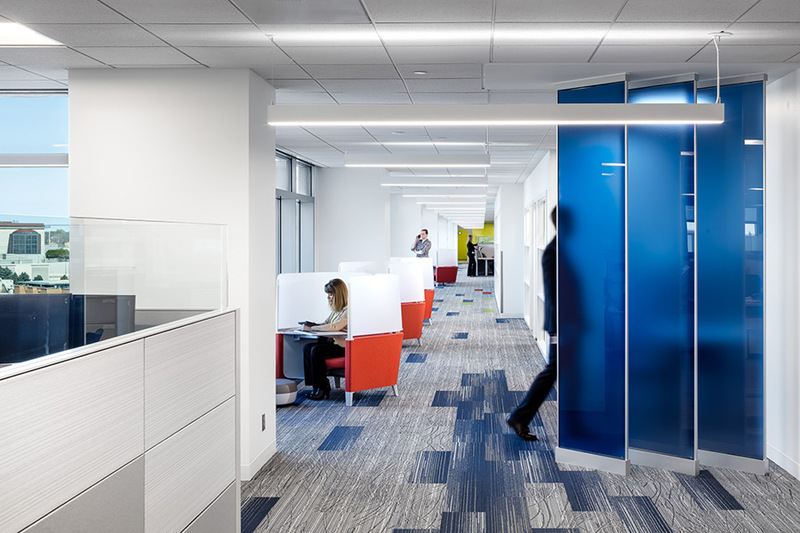 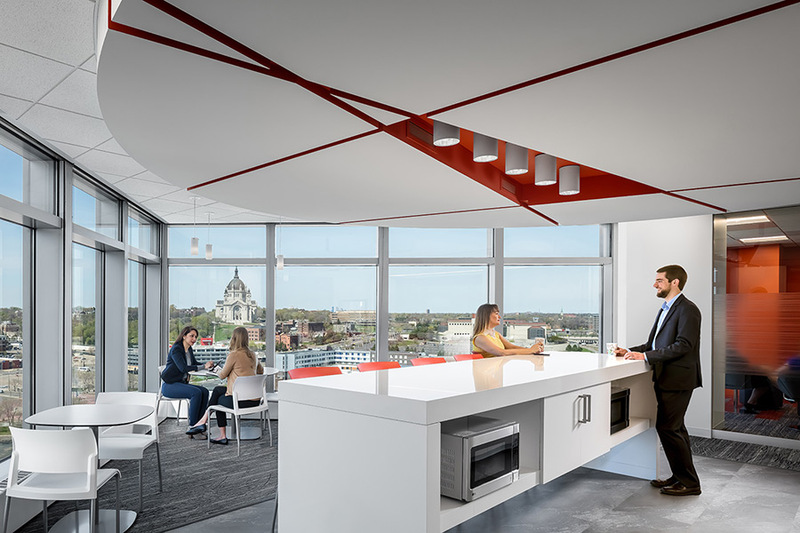 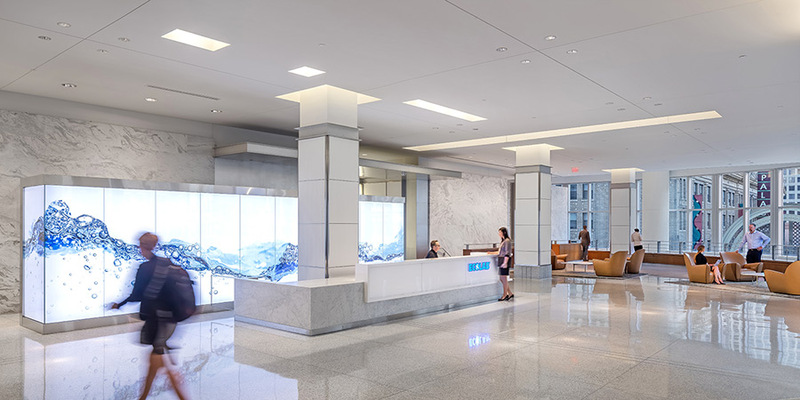 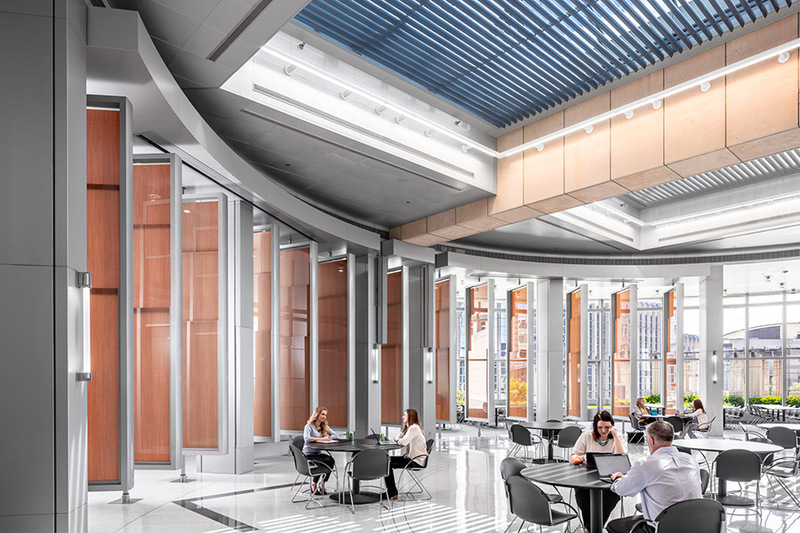 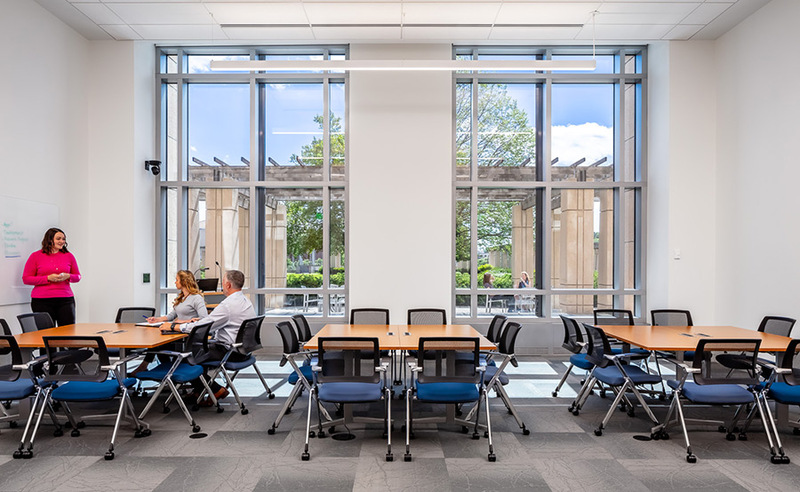 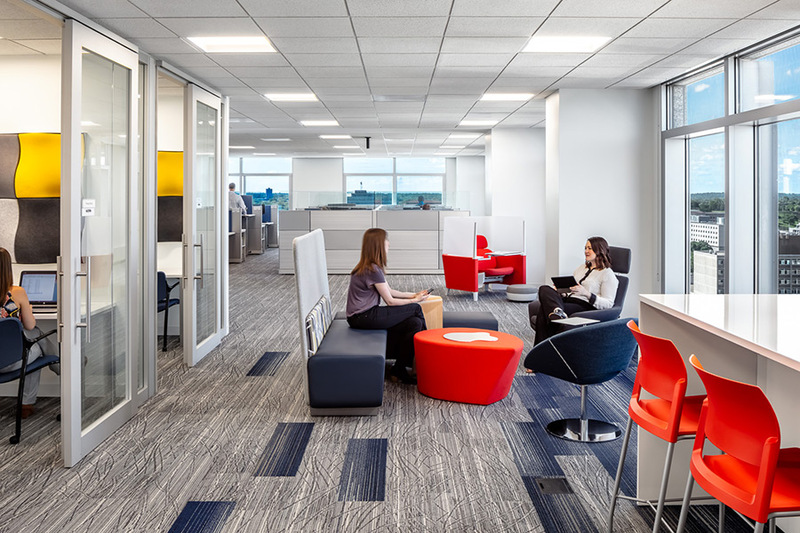 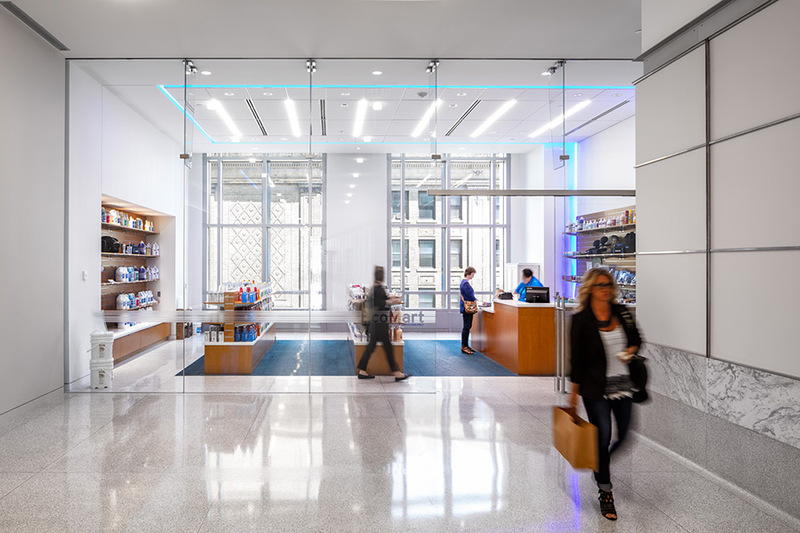 To enhance Ecolab’s organizational effectiveness, they vacated two antiquated buildings and relocated 1,500 associates to an existing building built in 1989. 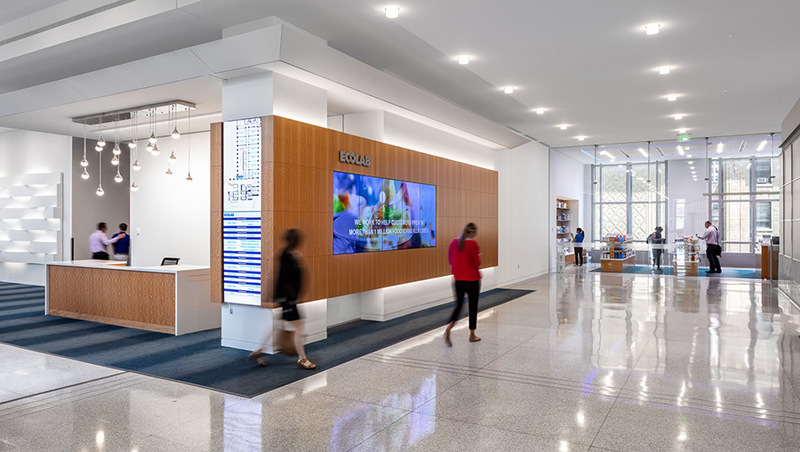 The renovation of the building amplifies Ecolab’s global mission and daily commitment to reducing global water consumption and helping the world be cleaner, safer, and healthier. 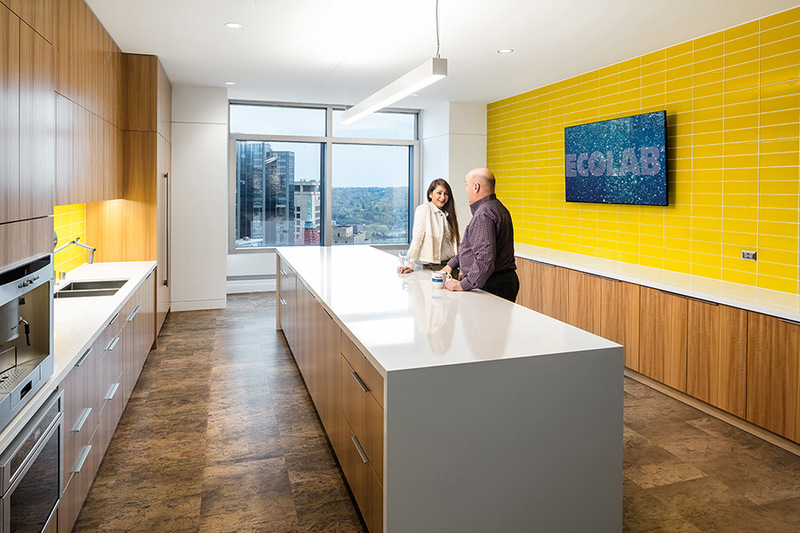 Working closely with Ecolab, planning and design principles were developed to support the way they envisioned working in the future. 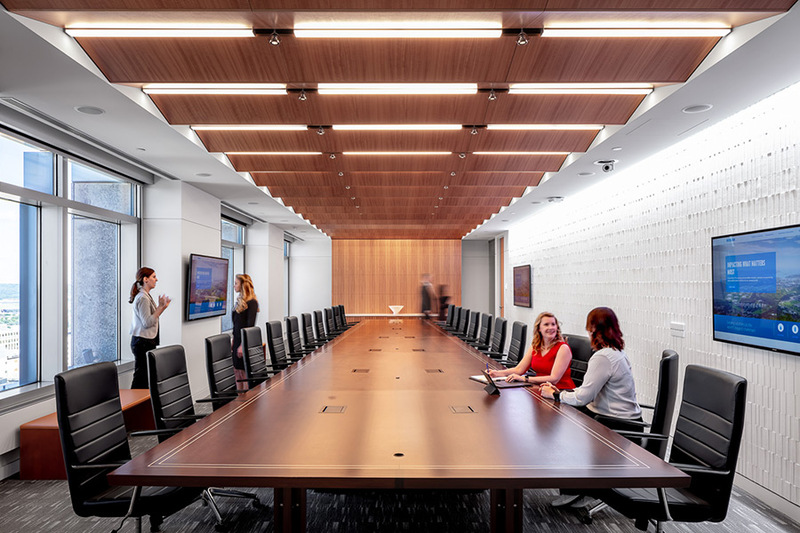 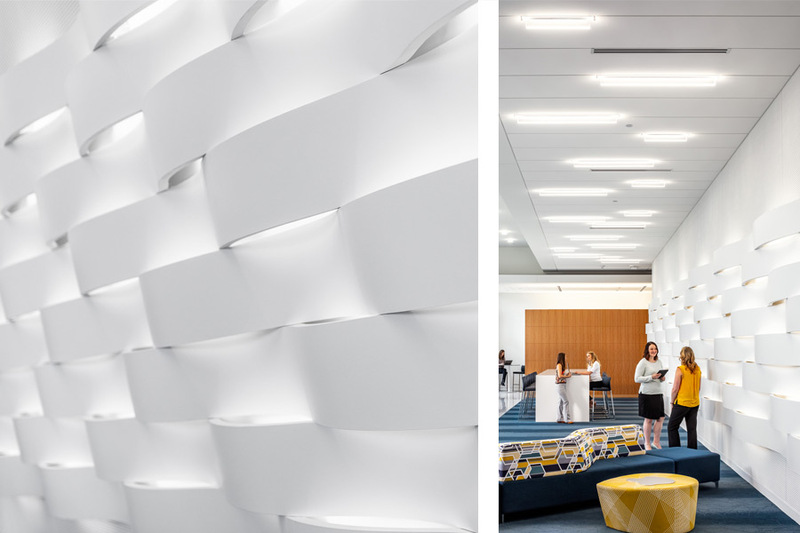 This includes leveraging daylight and views, enhancing organizational collaboration, connectivity, and developing a more diverse range of meeting and training spaces, and the creation of new workplace standards that are flexible, agile, highly functional, and appropriately serious. 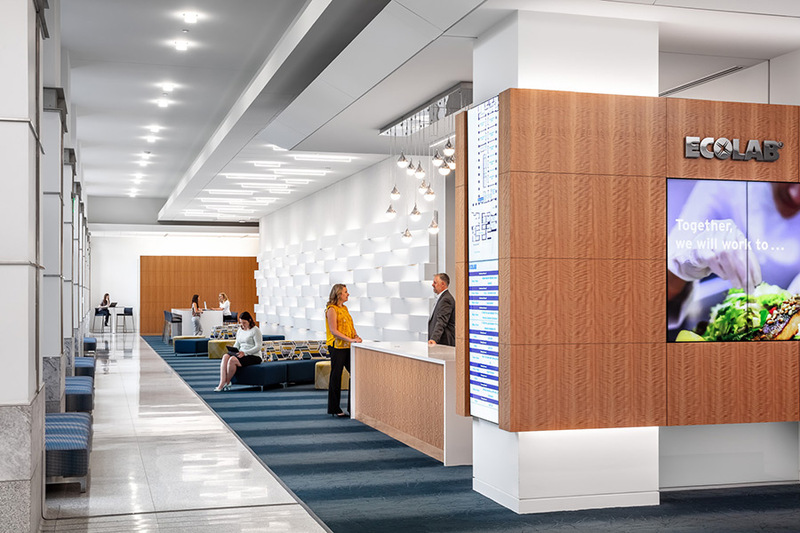 At the project’s onset, Alliiance utilized a series of visioning and planning tools to efficiently explore and synthesize design themes that guided the project’s image, narrative, and planning priorities. 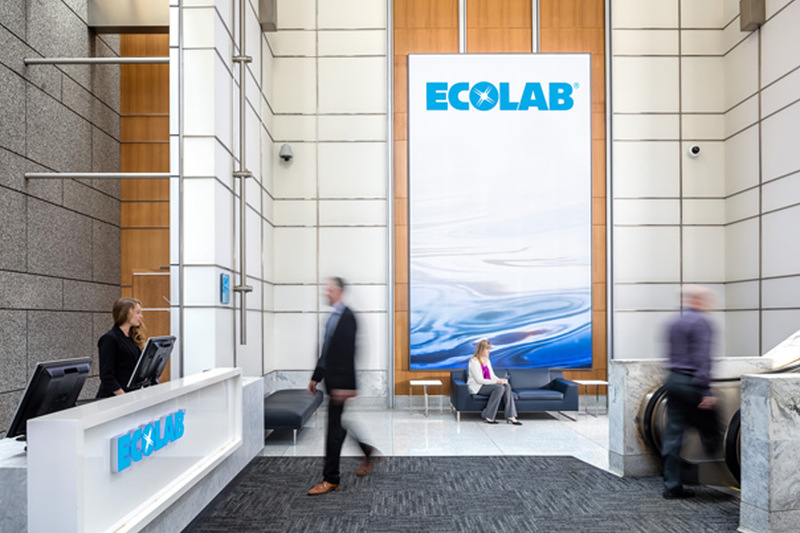 This resulted in a clean and straight-forward work environment that reinforces Ecolab’s commitment to its home town, while confidently celebrating their global mission.